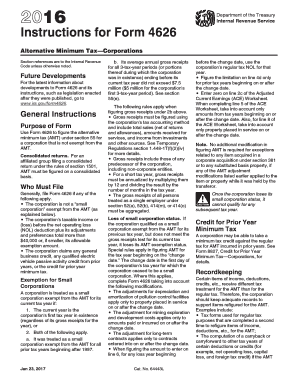 Corporations use this form to figure their alternative minimum tax (AMT) under section 55. Loss of small corporation status. What Adjustments Are Not Included as Depreciation Adjustments? What Depreciation Must Be Refigured for the AMT? What Depreciation Is Not Refigured for the AMT? How Is Depreciation Refigured for the AMT? Property placed in service after 1998. Property placed in service before 1999. How is the AMT class life determined? How Is the Line 2a Adjustment Figured? Dispositions for which lines 2i, 2j, and 2k adjustments are made. Net income from oil, gas, and geothermal properties. Income from the biofuel producer, biodiesel, and renewable diesel fuels credits. Income as the beneficiary of an estate or trust. Net AMT adjustment from an electing large partnership. Accelerated depreciation of real property and certain leased personal property (pre-1987). Line 2b(2). Post-1989, pre-1994 property. Line 2b(3). Pre-1990 MACRS property. Line 2b(4). Pre-1990 original ACRS property. Line 2b(5). 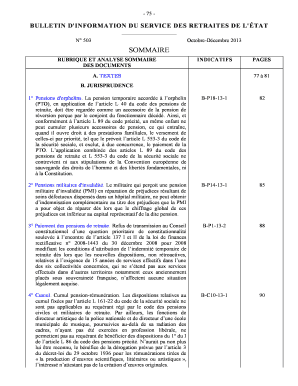 Property described in sections 168(f)(1) through (4). Line 2c. Total ACE depreciation. Items for which no adjustment is necessary. For the latest information about developments to Form 4626 and its instructions, such as legislation enacted after they were published, go to IRS.gov/Form4626 . The alternative minimum tax (AMT) adjustments for the American Samoa economic development credit expired December 31, 2016. To find out if legislation extended this provision and made it (and other expired provisions affecting AMT) applicable for 2017, go to IRS.gov/Extenders . Use Form 4626 to figure the AMT under section 55 for a corporation that is not exempt from the AMT. For an affiliated group filing a consolidated return under the rules of section 1501, AMT must be figured on a consolidated basis. Generally, file Form 4626 if any of the following apply. The corporation is not a “small corporation” exempt from the AMT (as explained below). The corporation’s taxable income or (loss) before the net operating loss (NOL) deduction plus its adjustments and preferences total more than $40,000 or, if smaller, its allowable exemption amount. The corporation claims any general business credit, any qualified electric vehicle passive activity credit from prior years, or the credit for prior year minimum tax. It was treated as a small corporation exempt from the AMT for all prior tax years beginning after 1997. Its average annual gross receipts for all 3-tax-year periods (or portions thereof during which the corporation was in existence) ending before its current tax year did not exceed $7.5 million ($5 million for the corporation’s first 3-tax-year period). See section 55(e). The following rules apply when figuring gross receipts under 2b above. Gross receipts must be figured using the corporation’s tax accounting method and include total sales (net of returns and allowances), amounts received for services, and income from investments and other sources. See Temporary Regulations section 1.448-1T(f)(2)(iv) for more details. Gross receipts include those of any predecessor of the corporation, including non-corporate entities. For a short tax year, gross receipts must be annualized by multiplying them by 12 and dividing the result by the number of months in the tax year. The gross receipts of all persons treated as a single employer under section 52(a), 52(b), 414(m), or 414(o) must be aggregated. If the corporation qualified as a small corporation exempt from the AMT for its previous tax year, but does not meet the gross receipts test for its current tax year, it loses its AMT exemption status. Special rules apply in figuring AMT for the tax year beginning on the “change date.” The change date is the first day of the corporation’s tax year for which the corporation ceased to be a small corporation. Where this applies, complete Form 4626 taking into account the following modifications. The adjustments for depreciation and amortization of pollution control facilities apply only to property placed in service on or after the change date. The adjustment for mining exploration and development costs applies only to amounts paid or incurred on or after the change date. The adjustment for long-term contracts applies only to contracts entered into on or after the change date. When figuring the amount to enter on line 6, for any loss year beginning before the change date, use the corporation’s regular tax NOL for that year. Figure the limitation on line 4d only for prior tax years beginning on or after the change date. Enter zero on line 2c of the Adjusted Current Earnings (ACE) Worksheet. When completing line 5 of the ACE Worksheet, take into account only amounts from tax years beginning on or after the change date. Also, for line 8 of the ACE Worksheet, take into account only property placed in service on or after the change date. No additional modification in figuring AMT is required for exceptions related to any item acquired in a corporate acquisition under section 381 or to any substituted basis property, if any of the AMT adjustment modifications listed earlier applied to the item or property while it was held by the transferor. Once the corporation loses its small corporation status, it cannot qualify for any subsequent tax year. A corporation may be able to take a minimum tax credit against the regular tax for AMT incurred in prior years. See Form 8827, Credit for Prior Year Minimum Tax—Corporations, for details. A “running balance” of the excess of the corporation’s total increases in alternative minimum taxable income (AMTI) from prior year adjusted current earnings (ACE) adjustments over the total reductions in AMTI from prior year ACE adjustments (see the instructions for line 4d). If the corporation is filing for a period of less than 12 months, AMTI must be annualized and the tentative minimum tax prorated based on the number of months in the short period. Complete Form 4626 as follows. Complete lines 1 through 6 in the normal manner. Subtract line 6 from line 5 to figure AMTI for the short period, but do not enter it on line 7. Multiply AMTI for the short period by 12. Divide the result by the number of months in the short period. Enter this result on line 7 and write “Sec. 443(d)(1)” on the dotted line to the left of the entry space. Complete lines 8 through 11. Subtract line 11 from line 10. Multiply the result by the number of months in the short period and divide that result by 12. Enter the final result on line 12 and write “Sec. 443(d)(2)” on the dotted line to the left of the entry space. Complete the rest of the form in the normal manner. For a regulated investment company, a real estate investment trust, or a common trust fund, see section 59(d) for details on allocating certain differently treated items between the entity and its investors. There is no AMT adjustment for the following items if the corporation elects to deduct them ratably over the period of time shown for the regular tax. Circulation expenditures (personal holding companies only)—3 years. Mining exploration and development costs—10 years. See section 59(e) for more details. Enter the corporation’s taxable income or (loss) before the NOL deduction, after the special deductions, and without regard to any excess inclusion (for example, if filing Form 1120, subtract line 29b from line 28 of that form). To avoid duplication, do not include any AMT adjustment or preference taken into account on line 2i, 2j, 2k, or 2o in the amounts to be entered on any other line of this form. A tax shelter farm activity. Take this adjustment into account on line 2i. Passive activities. 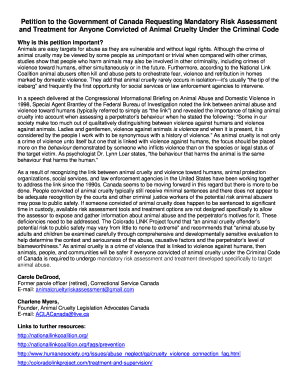 Take this adjustment into account on line 2j. An activity for which the corporation is not at risk, or income or loss from a partnership interest, or stock in an S corporation if the basis limitations apply. Take this adjustment into account on line 2k. Generally, the corporation must refigure depreciation for the AMT, including depreciation allocable to inventory costs, for the following. Property placed in service after 1998 depreciated for the regular tax using the 200% declining balance method (generally 3-, 5-, 7-, or 10-year property under the modified accelerated cost recovery system (MACRS)), except for certain qualified property eligible for the special depreciation allowance (discussed later). Section 1250 property placed in service after 1998 that is not depreciated for the regular tax using the straight line method. Do not refigure depreciation for the AMT for the following. Residential rental property placed in service after 1998. Nonresidential real property with a class life of 27.5 years or more (generally, a building and its structural components) placed in service after 1998 that is depreciated for the regular tax using the straight line method. Other section 1250 property placed in service after 1998 that is depreciated for the regular tax using the straight line method. Property (other than section 1250 property) placed in service after 1998 that is depreciated for the regular tax using the 150% declining balance method or the straight line method. Property for which the corporation elected to use the alternative depreciation system (ADS) for the regular tax. Any qualified property eligible for a special depreciation allowance if the depreciable basis of the property for the AMT is the same as for the regular tax. In addition, no adjustment is required for any depreciation figured on the remaining basis of the qualified property. However, if the corporation elected not to have any special depreciation allowance apply, the property may be subject to an AMT adjustment for depreciation if it was placed in service before 2016. It is not subject to an AMT adjustment for depreciation if it was placed in service after 2015. Any part of the cost of any property that the corporation elected to expense under section 179. The reduction to the depreciable basis of section 179 property by the amount of the section 179 expense deduction is the same for the regular tax and the AMT. Certain public utility property (if a normalization method of accounting is not used), motion picture films and video tape, sound recordings, and property that the corporation elects to exclude from MACRS by using a depreciation method that is not based on a term of years, such as the unit-of-production method. Any natural gas gathering line (as defined in section 168(i)(17)) placed in service after April 11, 2005, the original use of which begins with the corporation after April 11, 2005, and which is not under self-construction or subject to a binding contract in existence before April 12, 2005. Use the same convention and recovery period used for the regular tax. Use the straight line method for section 1250 property. For property other than section 1250 property, use the 150% declining balance method, switching to the straight line method the first tax year it gives a larger deduction. Refigure depreciation for the AMT using ADS, with the same convention used for the regular tax. See the table below for the method and recovery period to use. Section 1250 property. Straight line method over 40 years. Tangible property (other than section 1250 property) depreciated using the straight line method for the regular tax. Straight line method over the property’s AMT class life. Any other tangible property. 150% declining balance method, switching to the straight line method the first tax year it gives a larger deduction, over the property’s AMT class life. For property placed in service before 1999, the class life used for the AMT is not necessarily the same as the recovery period used for the regular tax. The class lives are listed in Rev. Proc. 87-56, 1987-2 C.B. 674, Rev. Proc. 88-22, 1988-1 C.B. 785, and in Pub. 946, How To Depreciate Property. See Pub. 946 for tables that can be used to figure AMT depreciation. Rev. Proc. 89-15, 1989-1 C.B. 816, and Pub. 946 have special rules for short tax years and for property disposed of before the end of the recovery period. Subtract the AMT deduction for depreciation from the regular tax deduction and enter the result on line 2a. If the AMT deduction is more than the regular tax deduction, enter the difference as a negative amount. In addition to the AMT adjustment to the deduction for depreciation, also adjust the amount of depreciation that was capitalized, if any, to account for the difference between the rules for the regular tax and the AMT. Include on this line the current year adjustment to taxable income, if any, resulting from the difference. For facilities placed in service before 1999, figure the amortization deduction for the AMT using ADS (that is, the straight line method over the facility’s class life). For facilities placed in service after 1998, figure the amortization deduction for the AMT under MACRS using the straight line method. Figure the AMT deduction using 100% of the asset’s amortizable basis. Do not reduce the corporation’s AMT basis by the 20% section 291 adjustment that applied for the regular tax. Enter the difference between the AMT deduction and the regular tax deduction on line 2b. If the AMT deduction is more than the regular tax deduction, enter the difference as a negative amount. Do not make this adjustment for costs for which the corporation elected the optional 10-year write-off for the regular tax. For the AMT, the regular tax deductions under sections 616(a) and 617(a) are not allowed. Instead, capitalize these costs and amortize them ratably over a 10-year period beginning with the tax year in which the corporation paid or incurred them. The 10-year amortization applies to 100% of the mining development and exploration costs paid or incurred during the tax year. Do not reduce the corporation’s AMT basis by the 30% section 291 adjustment that applied for the regular tax. If the corporation had a loss on property for which mining exploration and development costs have not been fully amortized for the AMT, the AMT deduction is the smaller of (a) the loss allowable for the costs had they remained capitalized, or (b) the remaining costs to be amortized for the AMT. Subtract the AMT deduction from the regular tax deduction. Enter the result on line 2c. If the AMT deduction is more than the regular tax deduction, enter the difference as a negative amount. Complete this line only if the corporation is a personal holding company. Do not make this adjustment for expenditures of a personal holding company for which the company elected the optional 3-year write-off for the regular tax. For the regular tax, circulation expenditures may be deducted in full when paid or incurred. For the AMT, these expenditures must be capitalized and amortized over 3 years beginning with the tax year in which the expenditures were made. If the corporation had a loss on property for which circulation expenditures have not been fully amortized for the AMT, the AMT deduction is the smaller of (a) the loss allowable for the expenditures had they remained capitalized, or (b) the remaining expenditures to be amortized for the AMT. Subtract the AMT deduction from the regular tax deduction. Enter the result on line 2d. If the AMT deduction is more than the regular tax deduction, enter the difference as a negative amount. If, during the tax year, the corporation disposed of property for which it is making (or previously made) any of the adjustments described on lines 2a through 2d above, refigure the property’s adjusted basis for the AMT. Then refigure the gain or loss on the disposition. The property’s adjusted basis for the AMT is its cost minus all applicable depreciation or amortization deductions allowed for the AMT during the current tax year and previous tax years. Subtract this AMT basis from the sales price to get the AMT gain or loss. The corporation may also have gains or losses from lines 2i, 2j, and 2k that must be considered on line 2e. For example, if for the regular tax the corporation reports a loss from the disposition of an asset used in a passive activity, include the loss in the computations for line 2j to determine if any passive activity loss is limited for the AMT. Then, include the AMT passive activity loss allowed that relates to the disposition of the asset on line 2e in determining the corporation’s AMT basis adjustment. It may be helpful to refigure the following for the AMT: Form 8810, Corporate Passive Activity Loss and Credit Limitations, and related worksheets; Schedule D (Form 1120), Capital Gains and Losses; Section B of Form 4684, Casualties and Thefts; or Form 4797, Sale of Business Property. Enter on line 2e the difference between the regular tax gain or loss and the AMT gain or loss. Enter the difference as a negative amount if any of the following apply. The AMT gain is less than the regular tax gain. The AMT loss exceeds the regular tax loss. The corporation has an AMT loss and a regular tax gain. For the AMT, the corporation generally must use the percentage-of-completion method described in section 460(b) to determine the taxable income from any long-term contract (defined in section 460(f)). However, this rule does not apply to any home construction contract (as defined in section 460(e)(6)). For contracts excepted from the percentage-of-completion method for the regular tax by section 460(e)(1), determine the percentage of completion using the simplified procedures for allocating costs outlined in section 460(b)(3). Subtract the regular tax income from the AMT income. Enter the difference on line 2f. If the AMT income is less than the regular tax income, enter the difference as a negative amount. Amounts deposited in these funds are not deductible for the AMT. Earnings on these funds must be included in gross income for the AMT. If the corporation deducted these amounts or excluded them from income for the regular tax, add them back on line 2g. This deduction is not allowed for the AMT. If the corporation took this deduction for the regular tax, add it back on line 2h. Complete this line only if the corporation is a personal service corporation and it has a gain or loss from a tax shelter farm activity that is not a passive activity. If the tax shelter farm activity is a passive activity, include the gain or loss in the computations for line 2j. Refigure all gains and losses reported for the regular tax from tax shelter farm activities by taking into account any AMT adjustments and preferences. Determine the AMT gain or loss using the rules for the regular tax with the following modifications. No loss is allowed except to the extent the personal service corporation is insolvent. Do not use a loss in the current tax year to offset gains from other tax shelter farm activities. Instead, suspend any loss and carry it forward indefinitely until the corporation has a gain in a subsequent tax year from that same tax shelter farm activity or it disposes of the activity. Keep adequate records for losses that are not deductible (and therefore carried forward) for both the AMT and regular tax. A regular tax gain that exceeds the AMT gain. This adjustment applies only to closely held corporations and personal service corporations. Refigure all passive activity gains and losses reported for the regular tax by taking into account the corporation’s AMT adjustments and preferences and AMT prior year unallowed losses that apply to that activity. Determine the corporation’s AMT passive activity gain or loss using the same rules used for the regular tax. Generally, no loss is allowed. However, if the corporation is insolvent, special rules apply. See section 58(c). Refigure all gains and losses reported for the regular tax by taking into account the corporation’s AMT adjustments and preferences and AMT prior year unallowed losses. Use the same rules as outlined above for other passive activities, with the following modifications. AMT gains from tax shelter farm activities that are passive activities may be used to offset AMT losses from other passive activities. AMT losses from tax shelter farm activities that are passive activities may not be used to offset AMT gains from other passive activities. These losses must be suspended and carried forward indefinitely until the corporation has a gain in a subsequent year from that same activity or it disposes of the activity. Refigure gains and losses reported for the regular tax from at-risk activities and the corporation’s share of distributive items from partnerships by taking into account the corporation’s AMT adjustments and preferences. If the corporation has recomputed losses that must be limited for the AMT by section 465 or section 704(d) or the corporation reported losses for the regular tax from at-risk activities or distributive shares of partnership losses that were limited by those sections, figure the difference between the loss limited for the AMT and the loss limited for the regular tax for each applicable at-risk activity or distributive share of partnership loss. “Loss limited” means the amount of loss that is not allowable for the year because of the limitations above. Enter on line 2k the excess of the loss limited for the AMT over the loss limited for the regular tax. If the loss limited for the regular tax is more than the loss limited for the AMT, enter the difference as a negative amount. Refigure depletion using only income and deductions allowed for the AMT when refiguring the limit based on taxable income from the property under section 613(a) and the limit based on taxable income, with certain adjustments, under section 613A(d)(1). Also, the depletion deduction for mines, wells, and other natural deposits is limited to the property’s adjusted basis at the end of the year, as refigured for the AMT, unless the corporation is an independent producer or royalty owner claiming percentage depletion for oil and gas wells. Figure this limit separately for each property. When refiguring the property’s adjusted basis, take into account any AMT adjustments the corporation made this year or in previous years that affect basis (other than the current year’s depletion). Do not include in the property’s adjusted basis any unrecovered costs of depreciable tangible property used to exploit the deposits (for example, machinery, tools, pipes, etc.). For iron ore and coal (including lignite), apply the section 291 adjustment before figuring this preference. Enter on line 2l the difference between the regular tax and the AMT deduction. If the AMT deduction is more than the regular tax deduction, enter the difference as a negative amount. Enter on line 2m interest income from specified private activity bonds, reduced by any deduction that would have been allowable if the interest were includible in gross income for the regular tax. Bonds issued in 2009 and 2010. See section 57(a)(5)(C) for more information and other exceptions. Do not include interest on qualified Gulf Opportunity Zone bonds or qualified Midwestern disaster area bonds. Do not make this adjustment for costs for which the corporation elected the optional 60-month write-off for the regular tax. Intangible drilling costs (IDCs) from oil, gas, and geothermal properties are a preference to the extent excess IDCs exceed 65% of the net income from the properties. Figure the preference for all geothermal deposits separately from the preference for all oil and gas properties that are not geothermal deposits. The amount that would have been allowed if the corporation had amortized that amount over a 120-month period starting with the month the well was placed in production or, alternatively, had elected any method that is permissible in determining cost depletion. Net income is the gross income the corporation received or accrued from all oil, gas, and geothermal wells minus the deductions allocable to these properties (reduced by the excess IDCs). When refiguring net income, use only income and deductions allowed for the AMT. The preference for IDCs from oil and gas wells does not apply to corporations that are independent producers (that is, not integrated oil companies as defined in section 291(b)(4)). However, this benefit may be limited. First, figure the IDC preference as if this exception did not apply. Then, for purposes of this exception, complete a second Form 4626 through line 5, including the IDC preference. If the amount of the IDC preference exceeds 40% of the amount figured for line 5, enter the excess on line 2n (the benefit of this exception is limited). If the amount of the IDC preference is equal to or less than 40% of the amount figured for line 5, do not include an amount on line 2n for oil and gas wells (the benefit of this exception is not limited). Enter the net amount of any other adjustments and preferences, including the following. If this income was included in the corporation’s income for the regular tax, include this amount on line 2o as a negative amount. If the corporation is the beneficiary of an estate or trust, include on line 2o the AMT adjustment from Schedule K-1 (Form 1041), Part III, box 12. If the corporation is a partner in an electing large partnership, include on line 2o the amount from Schedule K-1 (Form 1065-B), box 6. Also include on line 2o any amount from Schedule K-1 (Form 1065-B), box 5, unless the corporation is a closely held or personal service corporation. Closely held and personal service corporations should take any amount from box 5 into account when figuring the amount to enter on line 2j. Distributions the corporation received from a cooperative may be includible in income. Unless the distributions are nontaxable, include on line 2o the total AMT patronage dividend adjustment reported to the corporation from the cooperative. If the corporation is a cooperative, refigure the cooperative’s deduction for patronage dividends by taking into account the cooperative’s AMT adjustments and preferences. Subtract the cooperative’s AMT deduction for patronage dividends from its regular tax deduction for patronage dividends and include the result on line 2o. If the AMT deduction is more than the regular tax deduction, include the result as a negative amount. For the AMT, figure the corporation’s domestic production activities deduction under section 199 without taking into account any AMT adjustments and preferences. The section 199 deduction for the corporation’s AMT is 9% of the smaller of (a) the qualified production activities income or (b) the alternative minimum taxable income (AMTI), determined without taking into account the section 199 deduction. Subtract the corporation’s AMT section 199 deduction from its regular tax section 199 deduction and include the result on line 2o. If the AMT deduction is more than the regular tax deduction, include the result as a negative amount. The installment method does not apply for the AMT to any nondealer disposition of property that occurred after August 16, 1986, but before the first day of the corporation’s tax year that began in 1987, if an installment obligation to which the proportionate disallowance rule applied arose from the disposition. Include as a negative adjustment on line 2o the amount of installment sale income reported for the regular tax. Refigure depreciation for the AMT using the straight line method for real property for which accelerated depreciation was determined for the regular tax using pre-1987 rules. Use a recovery period of 19 years for 19-year real property and 15 years for low-income housing property. Figure the excess of the regular tax depreciation over the AMT depreciation separately for each property and include only positive adjustments on line 2o. The adjustment for leased personal property only applies to personal holding companies. For leased personal property other than recovery property, enter the excess of the depreciation claimed for the property for the regular tax using pre-1987 rules over the depreciation allowable for the AMT as refigured using the straight line method. For leased 10-year recovery property and leased 15-year public utility property, enter the excess of the regular tax depreciation over the depreciation allowable using the straight line method with a half-year convention, no salvage value, and a recovery period of 15 years (22 years for 15-year public utility property). Figure this amount separately for each property and include only positive adjustments on line 2o. This preference generally applies only to property placed in service after 1987, but depreciated using pre-1987 rules due to transition provisions of the Tax Reform Act of 1986. AMT adjustments and preferences may affect deductions that are based on an income limit (for example, charitable contributions). Refigure these deductions using the income limit as modified for the AMT. Include on line 2o an adjustment for the difference between the regular tax and AMT amounts for all such deductions. If the AMT deduction is more than the regular tax deduction, include the difference as a negative amount. The ACE adjustment does not apply to a regulated investment company or a real estate investment trust. Also, for an affiliated group filing a consolidated return under the rules of section 1501, figure line 4b on a consolidated basis. The following examples illustrate the manner in which line 3 is subtracted from line 4a to get the amount to enter on line 4b. Corporation A has line 4a ACE of $25,000. If Corporation A has line 3 pre-adjustment AMTI in the amounts shown below, its line 3 and line 4a amounts would be combined as follows to determine the amount to enter on line 4b. Corporation B has line 4a ACE of $(25,000). If Corporation B has line 3 pre-adjustment AMTI in the amounts shown below, its line 3 and line 4a amounts would be combined as follows to determine the amount to enter on line 4b. A potential negative ACE adjustment (that is, a negative amount on line 4b multiplied by 75%) is allowed as a negative ACE adjustment on line 4e only if the corporation’s total increases in AMTI from prior year ACE adjustments exceed its total reductions in AMTI from prior year ACE adjustments (line 4d). The purpose of line 4d is to provide a “running balance” of this limitation amount. As such, the corporation must keep adequate records (for example, a copy of Form 4626 completed at least through line 5) from year to year (even in years in which it does not owe any AMT). Any potential negative ACE adjustment that is not allowed as a negative ACE adjustment in a tax year because of the line 4d limitation cannot be used to reduce a positive ACE adjustment in any other tax year. Combine lines 4d and 4e of the 2016 Form 4626 and enter the result on line 4d of the 2017 form, but do not enter less than zero. Corporation C, a calendar-year corporation, was incorporated January 1, 2013. Its ACE and pre-adjustment AMTI for 2013 through 2017 were as follows. Corporation C subtracts its pre-adjustment AMTI from its ACE in each of the years and then multiplies the result by 75% to get the following potential ACE adjustments for 2013 through 2017. Under these facts, Corporation C has the following increases or reductions in AMTI for 2013 through 2017. In 2013, Corporation C was not allowed to reduce its AMTI by any part of the potential negative ACE adjustment because it had no increases in AMTI from prior year ACE adjustments. In 2014, Corporation C had to increase its AMTI by the full amount of its potential ACE adjustment. It was not allowed to use any part of its 2013 unallowed potential negative ACE adjustment of $75,000 to reduce its 2014 positive ACE adjustment of $225,000. In 2015, Corporation C was allowed to reduce its AMTI by the full amount of its potential negative ACE adjustment because that amount is less than its line 4d limit of $225,000. In 2016, Corporation C was allowed to reduce its AMTI by only $150,000. Its potential negative ACE adjustment of $300,000 was limited to its 2014 increase in AMTI of $225,000 minus its 2015 reduction in AMTI of $75,000. In 2017, Corporation C must increase its AMTI by the full amount of its potential ACE adjustment. It cannot use any part of its 2016 unallowed potential negative ACE adjustment of $150,000 to reduce its 2017 positive ACE adjustment of $112,500. Corporation C would complete the relevant portion of its 2017 Form 4626 as follows. The ATNOLD is the sum of the alternative tax net operating loss (ATNOL) carrybacks and carryforwards to the tax year, subject to the limitation explained below. For a corporation that held a residual interest in a real estate mortgage investment conduit (REMIC), figure the ATNOLD without regard to any excess inclusion. The ATNOL for a loss year is the excess of the deductions allowed in figuring AMTI (excluding the ATNOLD) over the income included in AMTI. This excess is figured with the modifications in section 172(d), taking into account the adjustments in sections 56 and 58 and preferences in section 57 (that is, the section 172(d) modifications must be separately figured for the ATNOL). In applying the rules relating to the determination of the amount of carrybacks and carryforwards, use the modification to those rules described in section 56(d)(1)(B)(ii). The ATNOLD is generally limited to 90% of AMTI determined without regard to the ATNOLD and any domestic production activities deduction under section 199. To figure AMTI without regard to the ATNOLD, use a second Form 4626 as a worksheet. Complete the second Form 4626 through line 5, but when figuring lines 2l and 2o, treat line 6 as if it were zero. The amount figured on line 5 of the second Form 4626 is the corporation’s AMTI determined without regard to the ATNOLD. Add any domestic production activities deduction to this tentative total. The ATNOLD limitation is 90% of this amount. 100% of AMTI for the tax year (figured without regard to the ATNOLD, as discussed earlier, and the domestic production activities deduction under section 199) reduced by the amount determined under 1 above. Enter on line 6 the smaller of the ATNOLD or the ATNOLD limitation. The ATNOL can be carried back or forward using the rules outlined in section 172(b), generally, a two-year carryback and a twenty-year carryforward. An election under section 172(b)(3) to forgo the carryback period for the regular tax also applies for the AMT. The ATNOL carried back or forward may differ from the NOL (if any) that is carried back or forward for the regular tax. Keep adequate records for both the AMT and the regular tax. The NOL carryback and carryforward rules have changed for NOLs arising in tax years ending after December 31, 2017. See section 172(b), as amended by P.L. 115-97, section 13302. For a corporation that held a residual interest in a REMIC and is not a thrift institution, line 7 may not be less than the total of the amounts shown on Schedule(s) Q (Form 1066), Quarterly Notice to Residual Interest Holder of REMIC Taxable Income or Net Loss Allocation, line 2c, for the periods included in the corporation’s tax year. If the total of the line 2c amounts is larger than the amount the corporation would otherwise enter on line 7, enter that total and write “Sch. Q” on the dotted line next to line 7. If alternative minimum taxable income entered on line 7 is $310,000 or more, skip lines 8a and 8b and enter -0- on line 8c. You cannot take an exemption. If this Form 4626 is for a member of a controlled group of corporations, subtract $150,000 from the combined AMTI of all members of the controlled group. Divide the result among the members of the group in the same manner as the $40,000 tentative exemption is divided among the members. Enter this member’s share on line 8a. The tentative exemption must be divided equally among the members, unless all members consent to a different allocation. See section 1561 for details. If this Form 4626 is for a member of a controlled group of corporations, reduce the member’s share of the $40,000 tentative exemption by the amount entered on line 8b. Multiply line 9 by 20% (0.20) and enter that amount on line 10. The AMTFTC is the foreign tax credit refigured as follows. Complete a separate AMT Form 1118, Foreign Tax Credit—Corporations, for each separate limitation category specified at the top of Form 1118. In determining if any income is “high-taxed” in applying the separate limitation categories, use the AMT rate (20%) instead of the regular tax rate. For each separate AMT Form 1118, if the corporation previously made or is making the simplified limitation election (discussed below), skip Schedule A and enter on Schedule B, Part II, line 7, the same amount you entered on that line for the regular tax. Otherwise, complete Schedule A using only income and deductions that are allowed for the AMT and attributable to sources outside the United States. For each separate AMT Form 1118, complete Schedule B, Part II. Enter any AMTFTC carryover on Schedule B, Part II, line 5. Enter the AMTI from Form 4626, line 7, on Schedule B, Part II, line 8a. Enter the amount from Form 4626, line 10, on Schedule B, Part II, line 10. For the AMT Form 1118, complete Schedule B, Part III, Summary of Separate Credits. The total foreign tax credit is the amount on line 6. The amount from the AMT Form 1118, Schedule B, Part III, line 6. The corporation can use any reasonable method, consistently applied, to apportion the disallowed amount among the separate limitation categories (including the general limitation income category). Any AMT foreign tax credit for each separate limitation category that the corporation cannot claim (because of the limitation fraction) is treated as a credit carryback or carryforward for that limitation category under section 904(c). Because these amounts may differ from the amounts that are carried back or forward for the regular tax, keep adequate records for both the AMT and regular tax. When carried back or forward, the credit is reported on Schedule B, Part II, line 5, of the carryover year’s AMT Form 1118 for that separate limitation category. The corporation may elect to use a simplified section 904 limitation to figure its AMTFTC. The corporation must make the election for its first tax year beginning after 1997 for which it claims an AMTFTC. If it does not make the election for that tax year, it may not make the election for a later tax year. Once made, the election applies to all later tax years and may only be revoked with IRS consent. If the corporation made the election for each of its AMT separate limitations, the corporation uses its separate limitation income or loss that it determined for the regular tax (instead of refiguring the separate limitation income or loss for the AMT, as described earlier). Enter the corporation’s regular tax liability (as defined in section 26(b)) minus any foreign tax credit (for example, Form 1120, Schedule J, line 2, minus any foreign tax credit entered on Schedule J, line 5a). Recapture of any other credit. If a corporation with a net unrealized built-in loss (within the meaning of section 382(h)) undergoes an ownership change (within the meaning of section 382(g) and Regulations section 1.56(g)-1(k)(2)), refigure the adjusted basis of each asset of the corporation (immediately after the ownership change). The new adjusted basis of each asset is its proportionate share (based on respective fair market values) of the fair market value of the corporation’s assets (determined under section 382(h)) immediately before the ownership change. To determine if the corporation has a net unrealized built-in loss immediately before an ownership change, use the aggregate adjusted basis of its assets used for figuring its ACE. Also, use these new adjusted bases for all future ACE calculations (such as depreciation and gain or loss on disposition of an asset). Generally, the amount entered on this line is the depreciation the corporation claimed for the regular tax (Form 4562, line 22), modified by the AMT depreciation adjustments reported on lines 2a and 2o of Form 4626. For property placed in service after 1993, the ACE depreciation is the same as the AMT depreciation. Therefore, enter on line 2b(1) the same depreciation expense you included on line 2a of this worksheet for such property. For property placed in service in a tax year that began after 1989 and before 1994, use the ADS depreciation described in section 168(g). However, for property (a) placed in service in a tax year that began after 1989 and (b) described in sections 168(f)(1) through (4), use the same depreciation claimed for the regular tax and enter it on line 2b(5). For MACRS property generally placed in service after 1986 and in a tax year that began before 1990, figure depreciation by using the property’s AMT adjusted basis as of the close of the last tax year beginning before 1990 and by using the straight line method over the remainder of the recovery period for the property under ADS. In doing so, use the convention that would have applied to the property under section 168(d). For more information (including an example that illustrates the application of these rules), see Regulations section 1.56(g)-1(b)(2). For ACRS property generally placed in service in a tax year that began after 1980 and before 1987, figure depreciation by using the property’s regular tax adjusted basis as of the close of the last tax year beginning before 1990 and by using the straight line method over the remainder of the recovery period for the property under ADS. In doing so, use the convention that would have applied to the property under section 168(d) (without regard to section 168(d)(3)). For more information (including an example that illustrates the application of these rules), see Regulations section 1.56(g)-1(b)(3). For this property, use the regular tax depreciation, regardless of when the property was placed in service. Line 2b(5) takes priority over lines 2b(1), 2b(2), 2b(3), and 2b(4). For property that is described in sections 168(f)(1) through (4), use line 2b(5) instead of the line 2b(1), 2b(2), 2b(3), or 2b(4) that would otherwise apply. Use the regular tax depreciation for (a) property placed in service before 1981 and (b) property placed in service after 1980, in a tax year that began before 1990, that is excluded from MACRS by section 168(f)(5)(A)(i) or original ACRS by section 168(e)(4), as in effect before the Tax Reform Act of 1986. Subtract line 2b(7) from line 2a and enter the result on line 2c. If line 2b(7) exceeds line 2a, enter the difference as a negative amount. Proceeds of life insurance contracts excluded under section 101 minus the basis in the contract for purposes of ACE. An income item is considered taken into account without regard to the timing of its inclusion in a corporation’s pre-adjustment AMTI or its E&P. Only income items that are permanently excluded from pre-adjustment AMTI are included in ACE. An income item will not be considered taken into account merely because the proceeds from that item might eventually be reflected in the pre-adjustment AMTI of another taxpayer (for example, that of a shareholder) on the liquidation or disposal of a business. Do not make an adjustment for the following. Any income from discharge of indebtedness excluded from gross income under section 108 (or the corresponding provision of prior law). For an insurance company taxed under section 831(b), any amount not included in gross investment income (as defined in section 834(b)). Any special subsidy payment for prescription drug plans excluded from gross income under section 139A. Any qualified shipping income excluded under section 1357. Tax-exempt interest on certain housing bonds issued after July 30, 2008, excluded under section 57(a)(5)(C)(iii). Tax-exempt interest on certain private activity bonds issued in 2009 and 2010. Special rules apply to refunding bonds. See section 56(g)(4)(B)(iv). Include in ACE the income on life insurance contracts (as determined under section 7702(g)) for the tax year minus the part of any premium attributable to insurance coverage. Do not include any adjustment related to the E&P effects of any charitable contribution. Generally, no deduction is allowed when figuring ACE for items not taken into account (see below) in figuring E&P for the tax year. These amounts increase ACE if they are deductible in figuring pre-adjustment AMTI (that is, they would be positive adjustments). Any allowable domestic production activities deduction under section 199. Special rules apply to certain dividends received by certain cooperatives. An item is considered taken into account without regard to the timing of its deductibility in figuring pre-adjustment AMTI or E&P. Therefore, only deduction items that are permanently disallowed in figuring E&P are disallowed in figuring ACE. Golden parachute payments that exceed the limitation of section 280G. Except as noted below, in figuring ACE, determine the deduction for intangible drilling costs under section 312(n)(2)(A). Subtract the ACE expense (if any) from the AMT expense (used to figure line 2n of Form 4626) and enter the result on line 5a. If the ACE expense exceeds the AMT amount, enter the result as a negative amount. The above rule does not apply to amounts paid or incurred for any oil or gas well by corporations that are independent producers (that is, not integrated oil companies as defined in section 291(b)(4)). If this exception applies, do not enter an amount on line 5a for oil and gas wells. When figuring ACE, the current year deduction for circulation expenditures under section 173 does not apply. Therefore, treat circulation expenditures for ACE using the case law that existed before section 173 was enacted. Subtract the ACE expense (if any) from the regular tax expense (for a personal holding company, from the AMT expense used to figure line 2d of Form 4626) and enter the result on line 5b. If the ACE expense exceeds the regular tax amount (for a personal holding company, the AMT amount), enter the result as a negative amount. Do not make this adjustment for expenditures for which the corporation elected the optional 3-year write-off under section 59(e) for the regular tax. When figuring ACE, the amortization provisions of section 248 do not apply. Therefore, charge all organizational expenditures to a capital account and do not take them into account when figuring ACE until the corporation is sold or otherwise disposed of. Enter on line 5c all amortization deductions for organizational expenditures that were taken for the regular tax during the tax year. The LIFO inventory adjustments provided in section 312(n)(4) apply in figuring ACE. See Regulations section 1.56(g)-1(f)(3). For any installment sale in a tax year that began after 1989, a corporation generally cannot use the installment method to figure ACE. However, it may use the installment method for the applicable percentage (as determined under section 453A) of the gain from any installment sale to which section 453A(a)(1) applies. Subtract the installment sale income reported for AMT from the ACE income from the sales and enter the result on line 5e. If the ACE income from the sales is less than the AMT amount, enter the difference as a negative amount. When figuring ACE, a corporation may not recognize any loss on the exchange of any pool of debt obligations for any other pool of debt obligations having substantially the same effective interest rates and maturities. Add back (that is, enter as a positive adjustment) on line 6 any such loss to the extent recognized for the regular tax. For ACE, acquisition expenses of life insurance companies for qualified foreign contracts (as defined in section 807(e)(4) without regard to the treatment of reinsurance contract rules of section 848(e)(5)) must be capitalized and amortized by applying the treatment generally required under generally accepted accounting principles (and as if this rule applied to such contracts for all applicable tax years). Subtract the ACE expense (if any) from the regular tax expense and enter the result on line 7. If the ACE expense is more than the regular tax expense, enter the result as a negative amount. When figuring ACE, the allowance for depletion for any property placed in service in a tax year that began after 1989 generally must be determined under the cost depletion method. Subtract the ACE expense (if any) from the AMT expense (used to figure line 2l of Form 4626) and enter the result on line 8 of the worksheet. If the ACE expense is more than the AMT amount, enter the result as a negative amount. Independent oil and gas producers and royalty owners that figured their regular tax depletion deduction under section 613A(c) do not have an adjustment for ACE purposes. If, during the tax year, the corporation disposed of property for which it is making (or previously made) any of the ACE adjustments, refigure the property’s adjusted basis for ACE. Then refigure the property’s gain or loss. Enter the difference between the AMT gain or loss (used to figure line 2e of Form 4626) and the ACE gain or loss. Enter the difference as a negative amount if any of the following apply. The ACE gain is less than the AMT gain. The ACE loss is more than the AMT loss. The corporation had an ACE loss and an AMT gain. ▶ See ACE Worksheet Instructions. 2016 Department of the Treasury Internal Revenue Service Instructions for Form 4626 Alternative Minimum TaxCorporations Section references are to the Internal Revenue Code unless otherwise noted. The spreadsheets presented describe how IDOC fields are used in a specific application scenario.